Quinoa, once familiar only to hard-core vegans, has become so popular that the United Nations made 2013 The Year of Quinoa. Pronounced keen-wa, quinoa has an ancient origin, in the Andes Mountains of South America, where it was one of the three staple foods of the Inca civilization, along with corn and potatoes. 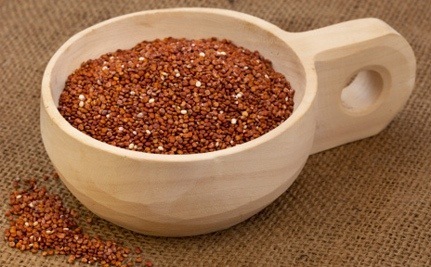 The Incas called it “the mother grain,” and today the quinoa seed is considered a super-food, valued for its high protein content, fiber, essential amino acids and overall great nutritional value. You can eat it as a side dish or a main dish for lunch or dinner, have it for breakfast in place of oatmeal, bake cookies with it, or even use it in drinks. It’s light, tasty, and easy to digest and tastes great! For all these reasons, sales of quinoa have exploded, and this increased demand means that the basic price of this seed has tripled since 2006, while the more unusual black, red and “royal” types come at an even greater cost. But there’s a dark side to this popularity. There is an unpalatable truth to face for those of us with a bag of quinoa in the larder. The appetite of countries such as ours for this grain has pushed up prices to such an extent that poorer people in Peru and Bolivia, for whom it was once a nourishing staple food, can no longer afford to eat it. Imported junk food is cheaper. In Lima, quinoa now costs more than chicken. Outside the cities, and fuelled by overseas demand, the pressure is on to turn land that once produced a portfolio of diverse crops into quinoa monoculture. The idea that it’s cheaper to buy imported junk food in Bolivia and Peru than to purchase a pound of healthy quinoa is a frightening one. In the U.S., there are numerous studies showing how eating junk food contributes to our soaring obesity rates. And as American junk food spreads to other countries, with McDonalds, Burger King and Pizza Hut, among others, opening up franchises in Vietnam, China and Japan, so the obesity rates start growing there too. In El Salvador, there’s been a dramatic increase in rotten teeth, the result of an influx of American soft drinks. That’s one disastrous aspect of this situation. Another is the notion that with all our well-intentioned nutritious eating habits, by consuming so much quinoa, we are driving up poverty rates in Bolivia and Peru. The Guardian article goes on to compare quinoa to other imported produce such as asparagus and soy, and reports that in both cases, increased exportation of these foods has led to environmental destruction and poverty in parts of South America. Should we all cut back on our consumption of quinoa to stabilize the market and make sure it’s available to everyone at a fair price? Will that solve the problem? Obviously, it’s not as simple as that. If we all stop buying quinoa, then farmers in Bolivia and Peru will lose their jobs, and they won’t have money to buy any quinoa. A better solution is to begin growing quinoa in other parts of the world. Every crop originally came from a specific place, so quinoa production will spread, given demand, as has the production of corn and potatoes, the two other staples of the Inca diet. Quinoa has been called a ‘superfood’ for its near-perfect balance of proteins and all eight amino acids. It is not a grain, but a chenopod, related to beets and spinach. It is native to the Andes in Latin America where, for centuries, it has been a dietary staple of Bolivians. But, as the New York Times reports, those nutritional properties that give quinoa so many health benefits—if you’re a vegan, quinoa is a good choice to assure adequate protein intake—are putting the so-called ‘gold of the Incas’ out of the price range of more and more Bolivians. While global demand for quinoa has meant a windfall for farmers, Bolivians are themselves turning increasingly to the processed foods too familiar to those of us in the US. Those whose native diet was once based on the ‘superfood’ are now are in danger of malnutrition. International demand for quinoa has had ramifications for Bolivian society as well. Isolated rural areas like Salinas de Garcí Mendoza, ‘a community on the edge of the salt flats in southern Bolivia where much of the country’s quinoa is produced,’ have seen a rise in living standards. People no longer have to emigrate to places like Argentina and Chile in search of work. A 1,000-gram bag of quinoa (just over two pounds) costs approximately $4.85, says the the New York Times. In comparison, the same weight of a bag of noodles costs about $1.20, while a bag of white rice costs $1. Perhaps we should see the story of quinoa as a cautionary tale: Certainly we all wish to eat as healthfully as possible, but it is tragic if this ‘superfood’ of the Andes becomes simply another option for the well-off who shop at the likes of Whole Foods, and no longer fills the bowls of those whose ancestors once subsisted on it.